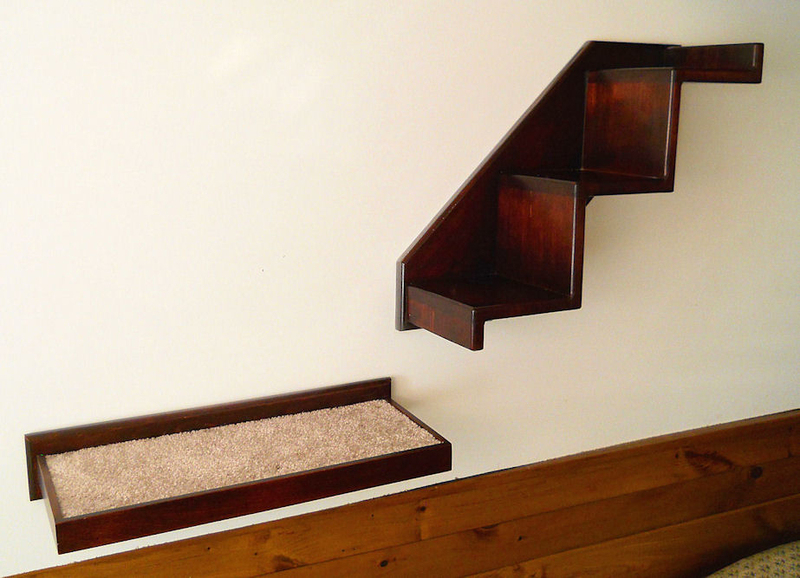 These Climbing Stairs for walls match and can be used with our popular cat shelves or by themselves anywhere cats need to go up from one place to another. 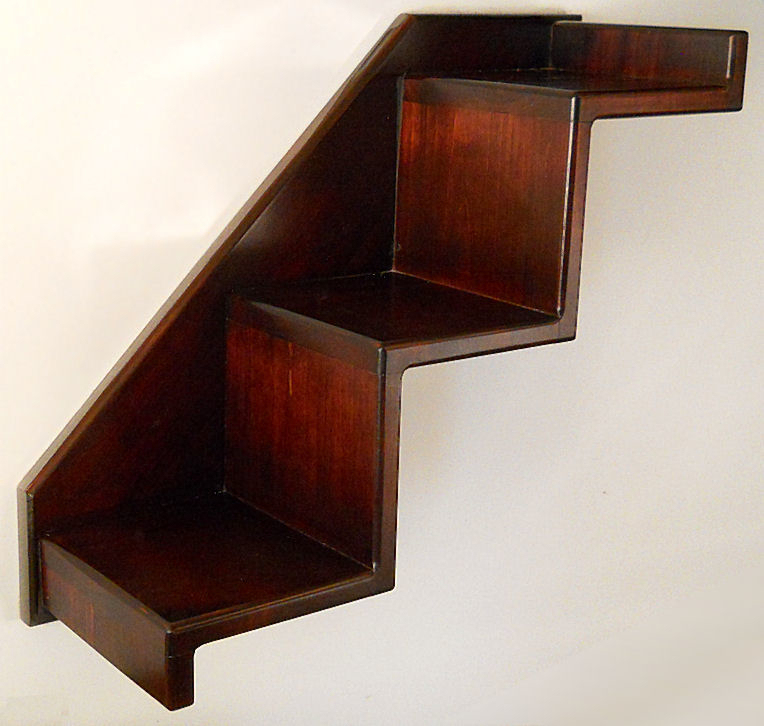 They are built using quality furniture grade construction with maple or oak hardwood. Stained and finished on all sides, they look great from all angles. 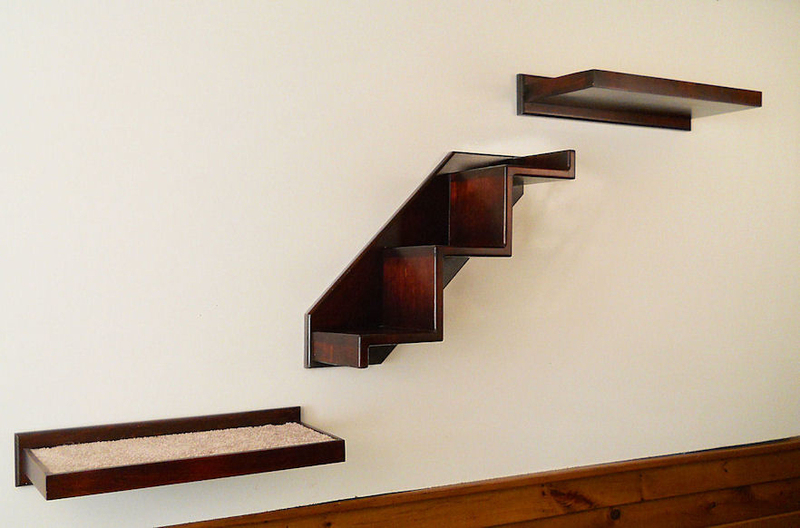 As a cat climbs up the stairs, each step is 6" deep by 6" high, and 7 1/4" wide, the same depth as our Standard Wall Shelf. 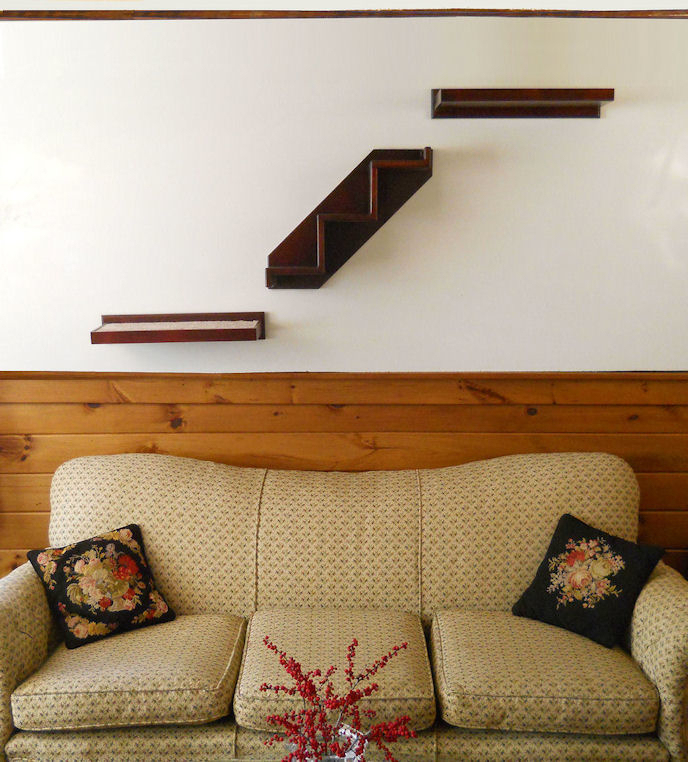 Screws and dry wall anchors are provided to attach into studs, wood surfaces or plaster walls. The mounting screws are recessed and covered with matching wood buttons. 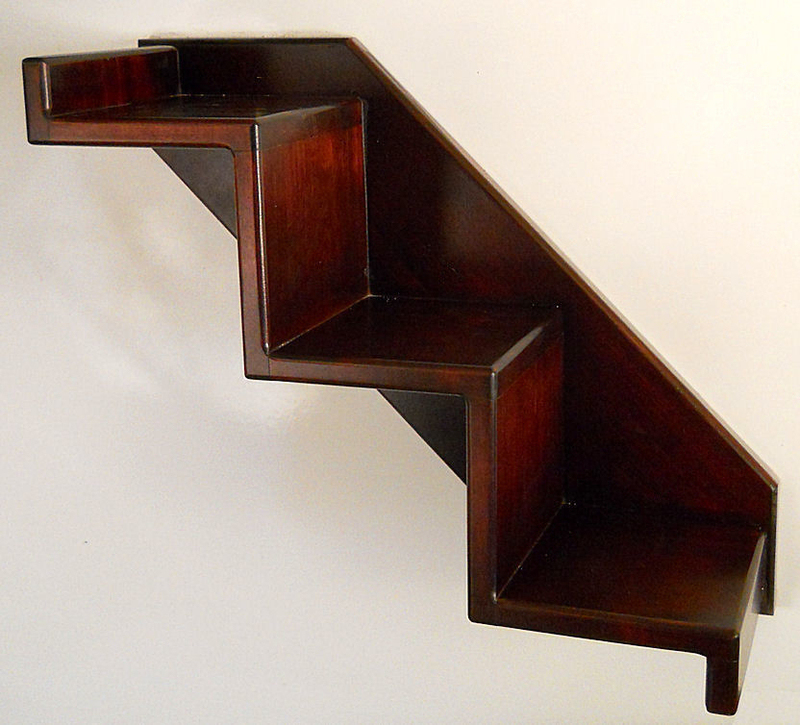 5 sizes: Double, Triple, 4, 5 and 6 Steps, and available in either going up left or up right orientation.